The NRA can point at “Kindergarten Killers,” but blaming pop culture for gun violence is just a distraction. Pointing the finger somewhere in the vague direction of video games, Hollywood movies, and “thousands of music videos,” to quote LaPierre, is a lot easier than addressing mental health and gun control, of course. Mental health and gun control are tough, complicated issues. It’s easier to talk about Quentin Tarantino and PlayStation. But doing so makes the same mistake we’ve made with many of the horrific mass-shooting tragedies over the past few decades. It stymies efforts at real reform and obscures difficult discussions; devolving the gun control debate into meaninglessness is exactly what the NRA is attempting to do. In 1999, the eminent media scholar Henry Jenkins was called to testify before Congress about Columbine, and the supposed link between video game violence, pop culture, and the shootings. Like Eric Harris and Dylan Klebold, the two Columbine killers, Adam Lanza was profoundly alienated from society. Lanza’s interactions with popular culture—the video games he played, the movies he watched, the music he listened to—may have been symptoms of his alienation, but they were not the root cause of his violent behavior. And he had something far more dangerous than the virtual fantasy world of video games and movies; he had real-life access to semi-automatic weapons. Harris and Klebold left a flashy, considerable evidence trail—journals, videos—while Lanza remains an enigma, even smashing his hard drive. Any tiny tidbit of information on Lanza has been seized on, amplified. We want to understand, to make sense out of something so senseless and horrific. We demand answers. But with Adam Lanza, once again, we are not asking the right sets of questions. The first image of Lanza to circulate widely was a grainy black-and-white photo of him in his high school “technology club,” where he apparently engaged in “LAN parties” and played video games, among other things. That’s not too surprising; the overwhelming majority of adolescent boys in America play video games. Plenty of shy, socially awkward teens join technology clubs; plenty of these teens go on to change the world for the better. The Homebrew Computer Club, one of the original technology clubs, helped birth Apple and the personal computer revolution in the 1970s. 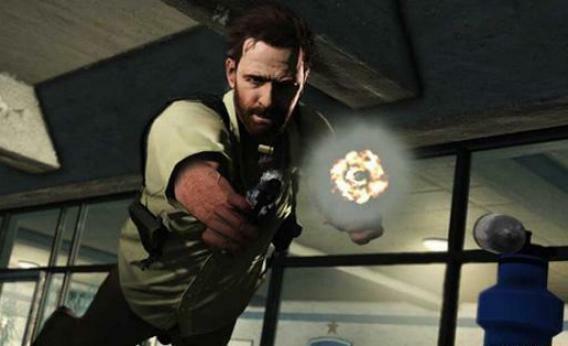 Most people play—and enjoy—video games like Call of Duty without becoming Anders Breivik or Adam Lanza. We can be fans of Batman and not become James Holmes. Harris and Klebold were fans of movies like The Matrix and games like Doom. So was much of the rest of the country, as Jenkins points out—Doom was a popular game, and The Matrix was the top box-office earner at the time. Humans are not input-output devices; we are not simple deterministic systems. We do not take in pop culture, process it, and all spit out the same results. And most movies, games, and music don’t just send one message—they are webs of ideas, open to many interpretations. By all means, open up a conversation about youth and their relationship with popular culture. But remember that it’s a relationship—a complicated, intricate, and often confounding one.